Most people shy away from blood, but for an assassin like me— Gin Blanco, aka the Spider—it’s just part of the job. Still, it would be nice to get a night off, especially when I’m attending the biggest gala event of the summer at Briartop, Ashland’s fanciest art museum. But it’s just not meant to be. For this exhibition of my late nemesis’s priceless possessions is not only the place to be seen, but the place to be robbed and taken hostage at gunpoint as well. No sooner did I get my champagne than a bunch of the unluckiest thieves ever burst into the museum and started looting the place. While Finn soothed the saleswomen’s ruffled feathers and bruised egos, I stepped around the case. “Hey, there, baby sister,” I said. She gestured at the boutique windows. Xavier had stuffed the dwarf into the backseat of the sedan and was now leaning against the side of the car. He had his sunglasses on and his head tilted back, enjoying the warm, early June sun. She returned my grin before swiveling back around to the case. Bria picked up a necklace set with square diamonds that were the size of gumballs. She studied the flashing gems for a few seconds before putting the piece down on top of the glass. 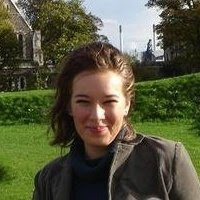 Jennifer Estep is a New York Times bestselling author, prowling the streets of her imagination in search of her next fantasy idea. Deadly Sting the eighth book in her Elemental Assassin urban fantasy series, was released on March 26. 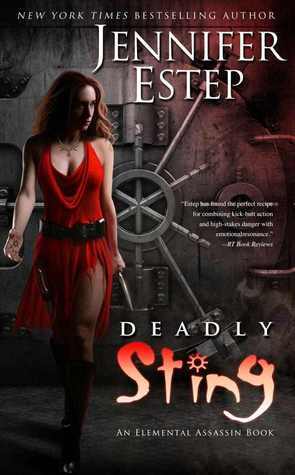 Jennifer has very generously offered a copy of Deadly Sting to a lucky commenter!